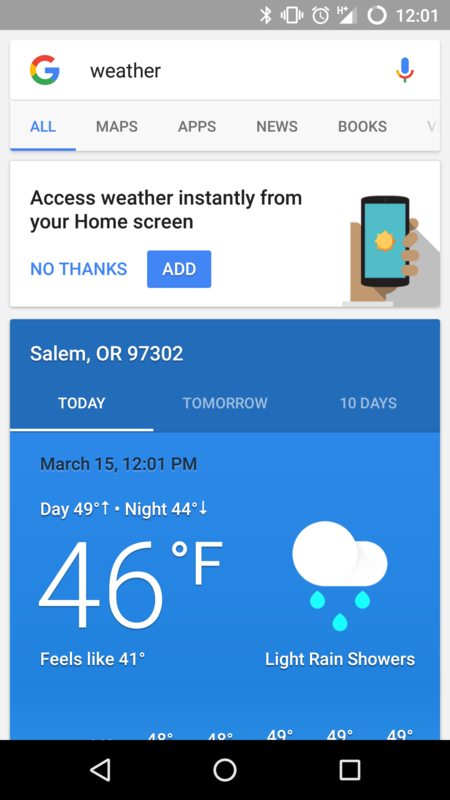 We've received word that Google is doing another limited rollout test, this time surrounding weather, one of their favourite topics to trial with users. 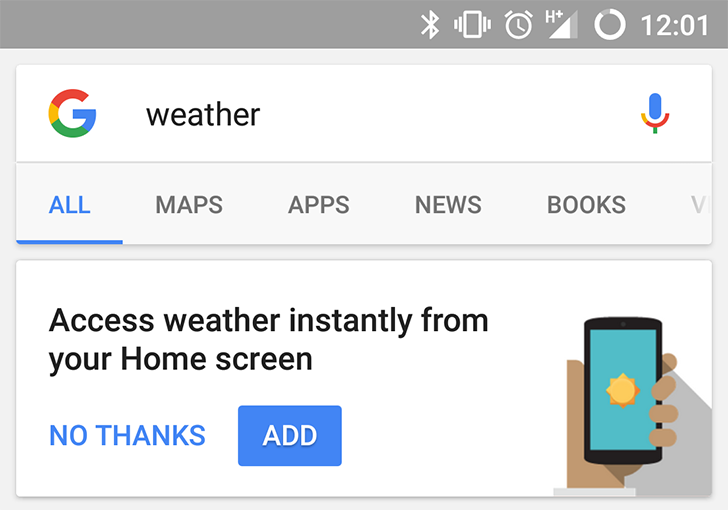 Searching "weather" might show you a card asking if you'd like to "Access weather instantly from your Home screen." If you tap add, a shortcut will show up on the homescreen. It appears to work almost exactly like Chrome's Add to homescreen function, except this opens the native Search and not a browser. 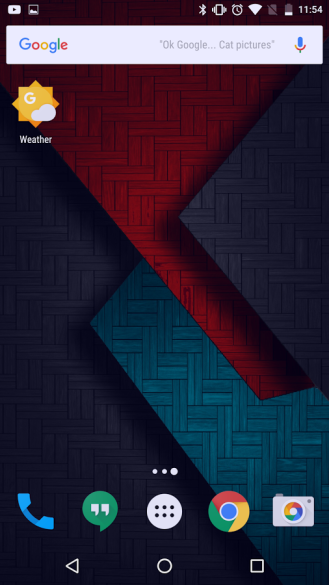 This may seem a little superfluous, as Google has weather available through Google Now, and possibly in your notifications too. That might be why they're testing it. Maybe they want more people to see the pretty new weather cards in Search. Or it could just be Google being Google, having multiple solutions to achieve the same goal. Remember, this seems like a very limited test. If it's not showing up, you're not alone; many writers on the Android Police team aren't seeing it either.